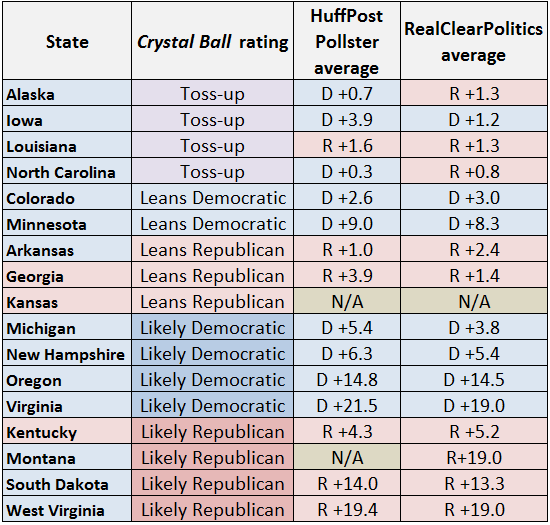 Larry J. Sabato's Crystal Ball » What Is a Wave in the Senate? @kkondik people seem to be conflating terrain and mood to make a wave. How many O states do Rs win in Senate, how many O 52%+ CDs? @ThePlumLineGS @SalenaZitoTrib @kkondik +7 is a win. +8 or more is a wave. Can’t get there w/o IA, CO, MI, or another blue.